An oversized fall foliage arrangement looks great atop a dining room table, but can also be a great complement to your fall mantel décor when aiming for an a-symmetrical look. Incorporating flowing twigs expands the visual impact of this arrangement, allowing it to stand up against large lanterns which are a great fall complement to your fireplace mantel. 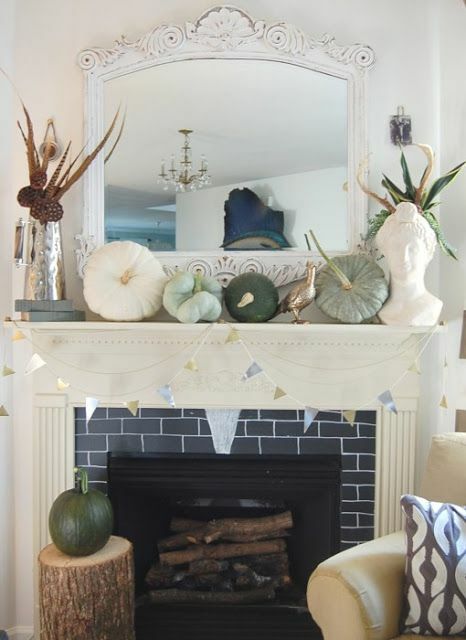 Filling up unused space with smaller accessories like pumpkins and gourds allows you to achieve maximum impact in your new home, making the fireplace mantel your home’s centerpiece. This shabby chic look gives your new home a trendy edge while still being ultra comfortable and cozy. 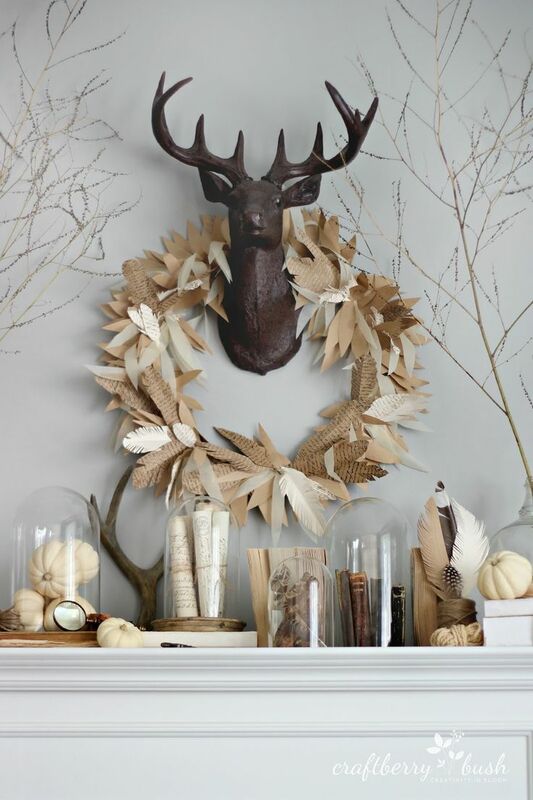 The dear head trophy finds no better spot than at the helm of your fireplace and unlike it’s authentic taxidermy cousin, this intentional copy helps bring appreciation and admiration of nature and all things rustic. 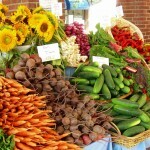 Also big are the glass globe domes which are super trendy this season, offering versatility and style. Beautiful copper and blown glass handle holders give your fireplace mantel great fall colours. 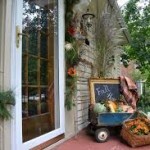 Ceramic pumpkins are great for their longevity to be used year after year in your new home. Also great are the use of frames and wreathes which even the simplest designs can still be made to look elegant and charming just but pairing them with some foliage and sparkle. 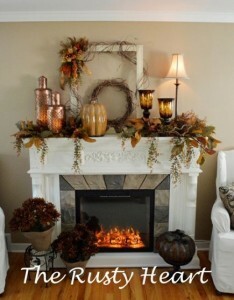 Don’t feel like you need to stick to fall colours to give your fireplace mantel an autumn flare. Matching the colours and style of the rest of your new home can be easily achieved by selecting pumpkins and accessories in the colours you’ve already surrounded yourself in. Blues and greens are beautiful year round and with stores like Homesense and Target carrying pumpkins in virtually all colours and shades, you’re bound to find some that complement your existing colour scheme. 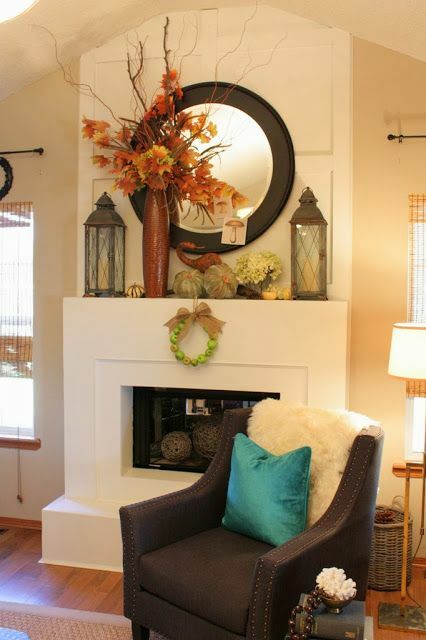 For more great decorating ideas and style tips for your new home, be sure to visit the Mosaik Homes Facebook Page!